Surely there must be more than one guard looking after the Princess's safety whilst sitting on the throne. I, for one, would want at least six around me to feel safe... but that's just me. -- machinexcaatxhead, Desert Diplomacy - Fun Facts! 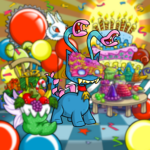 During the last year TNT released 155 new multispecies neopoints wearable items. Some of them were awarded for completing some events like the Spooky Food Contest, the Games Master Challenge or the Coincidence, while others were normally released with the news, mostly on special days. They are actually a lot anyway! But, among all of them, which ones are the most loved and used, and can't absolutely miss in your closets? 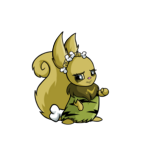 I'm sure you're wondering how a mutant can be as beautiful as I am; that's certainly what the Usul at the Grooming Parlor wondered. It just comes naturally to me! However, I realize not every mutant is as aesthetically pleasing as I am, which is why I've decided to write this guide: how to be Mutant and Beautiful. Here are ten easy steps to go from terrifying to terrific! It didn't take me long to convince myself that moving to Neopia Central was the worst idea ever.